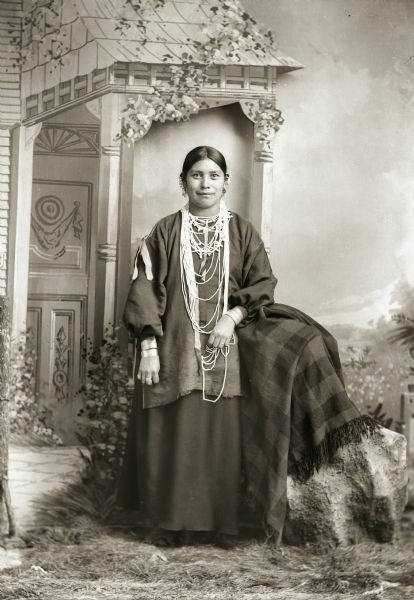 Full-length studio portrait of a Ho-Chunk woman, Mary Alice Johnson Decorra Brown (ENooKah), posing standing in front of a painted backdrop. SHe is wearing beads, earrings, and file bracelets. Probably the sister of John Johnson.